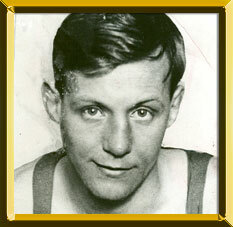 Heavyweight champion Gene Tunney lauded Jimmy Wilde as "the greatest fighter I ever saw." The frail-looking Wilde, whose skinny limbs and protruding ribs belied the power of his punches, became the first flyweight champion to be recognized in the United States as well as in Britain. The flyweight class was established in England in 1909 by the National Sporting Club, but American recognition of the division did not come until 1916, the year Wilde took the world title. Wilde was born in Wales in the same area that produced Freddie Welsh and Jim Driscoll. The son of a poor coal miner, Wilde worked as a pit boy as a child, hacking coal from channels too narrow for a grown man. When he began boxing in 1908 at the age of sixteen, he weighed just 74 pounds. He competed in boxing booth tournaments in his home of Tylorstown, taking on all comers. His first recorded professional match was a knockout of Ted Roberts in 1911. Wilde won the British 98-pound title in 1913 when he recorded an eighteen-round technical knockout over Billy Padden. In 1915, he failed in his bid to win the British and European flyweight championships in the first loss of his career when Tancy Lee stopped him in seventeen. The next year, however, Wilde won wide acclaim as flyweight champion when he defeated Joe Symonds in London with a TKO in twelve. He also trounced Lee in a rematch in 1916 to unify the British and European flyweight titles. Later the same year, Wilde knocked out Young Zulu Kid of the U.S. to gain universal acceptance as the world champion. Wilde kept fighting and winning until former bantamweight champ Pete Herman hammered him for seventeen rounds in 1921 in London and Wilde collapsed from exhaustion. Still considered the flyweight champion, Wilde did not fight for over two years until he put his title on the line against the very hot Pancho Villa at the Polo Grounds in New York in 1923. In the first two rounds, Wilde fought well, but a hard right from Villa at the end of the second dazed him. Villa then pounded the champ at will until the fight ended in the seventh. Wilde retired after the fight with Villa, putting his amazing seven-year career to bed. Veteran ring observers marveled for years at Wilde's power. He punched harder and more accurately than many men who outweighed him by 30 or 40 pounds. His scrawny physical appearance remained a source of scrutiny throughout his career, and once he became champion, several doctors studied him, trying to determine the unique source of his strength. His unorthodox training methods, which included competing in the boxing booths even after he became champion and using his wife as a sparring partner, have all fueled the boxing world's interest in this unusual star.